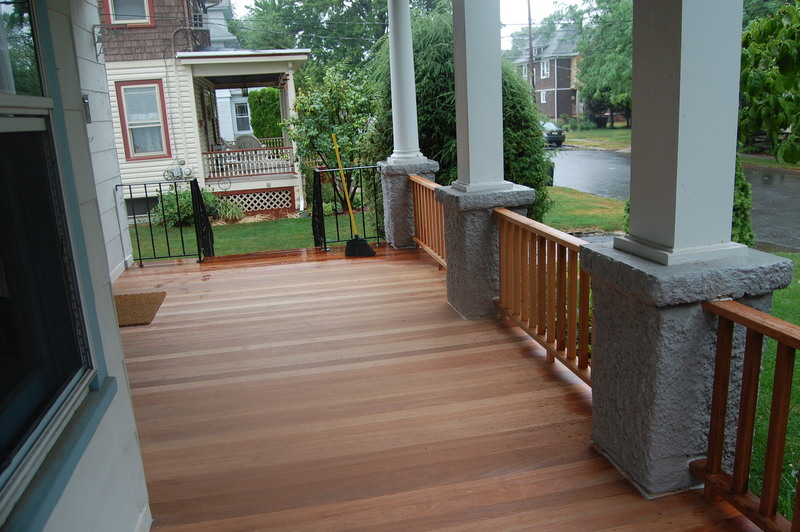 In addition to putting in a pea gravel patio, we also redid the front porch this summer. Six years ago, we had some charlatans fix the roof, but they did a lousy job; water was seeping through the gutters. 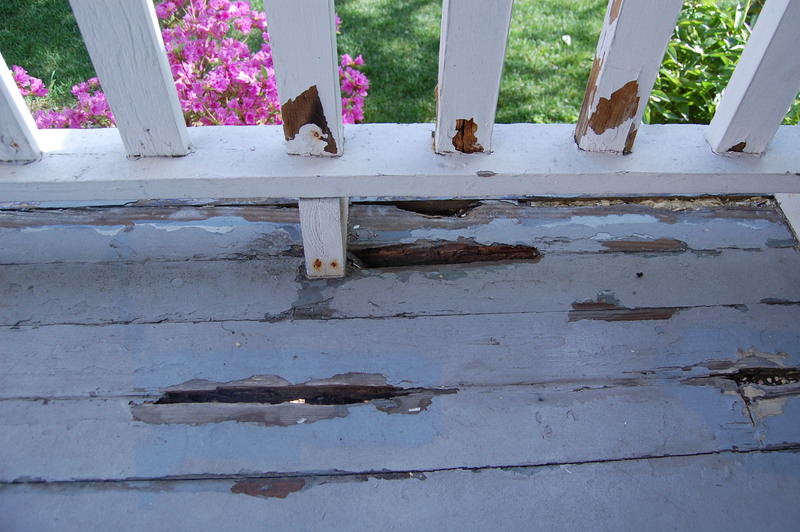 The floor boards were suffering from serious rot. I placed flower pots over the holes in the porch, but the holes were getting bigger and more numerous. The Flower Pot Solution (FPS) wasn't working any more. First step was getting a new roof. 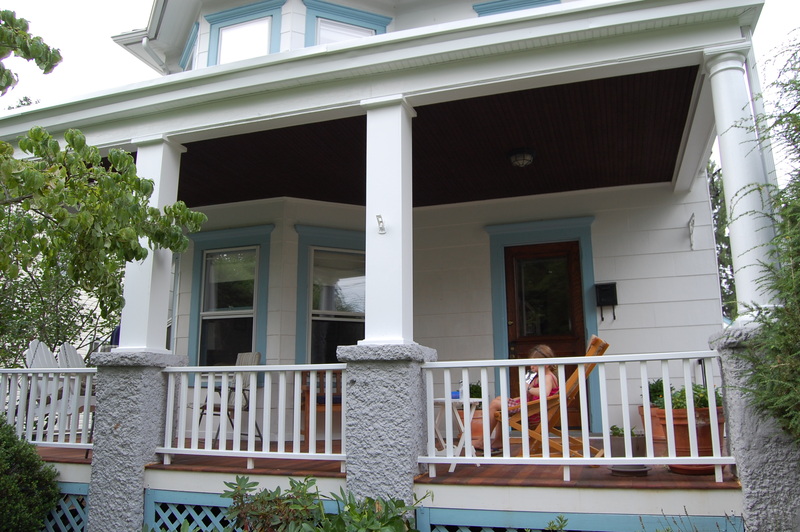 (I was so disgusted that we had to replace the porch roof for a second time that I guess I never took pictures of it.) 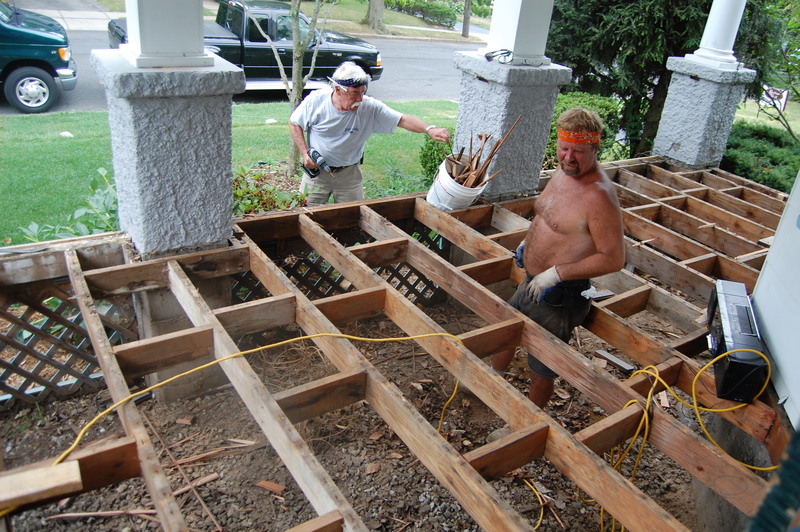 Then we called in Scottie and Don to put in a new porch floor. 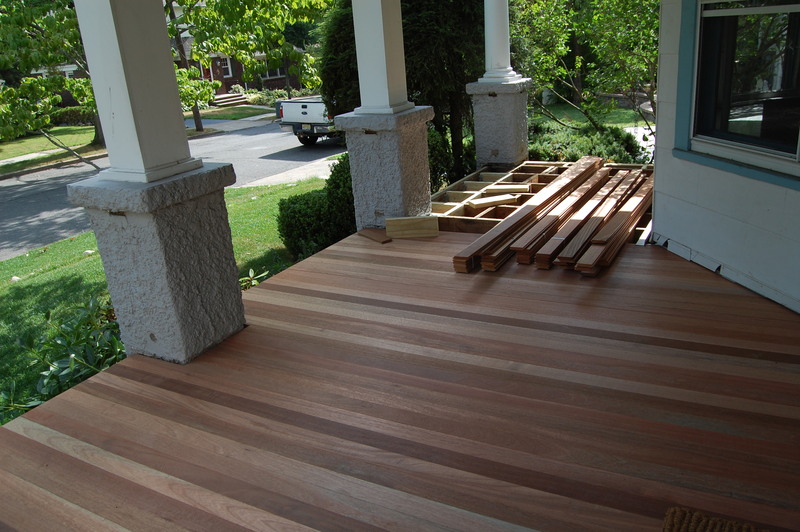 They said that the porch floorboards should run away from the house and not horizontal to the house like ours did. Who knew? Looks nice, doesn't it? See. All the boards go towards the street, so the water runs away from the house. Don and Scottie insisted on using tongue-in-groove mahogany. It was actually cheaper than the plastic stuff. See! The water runs off nicely. Like butter. After they left, we brought in Eddie to paint the railings and the columns. Here's the porch today. 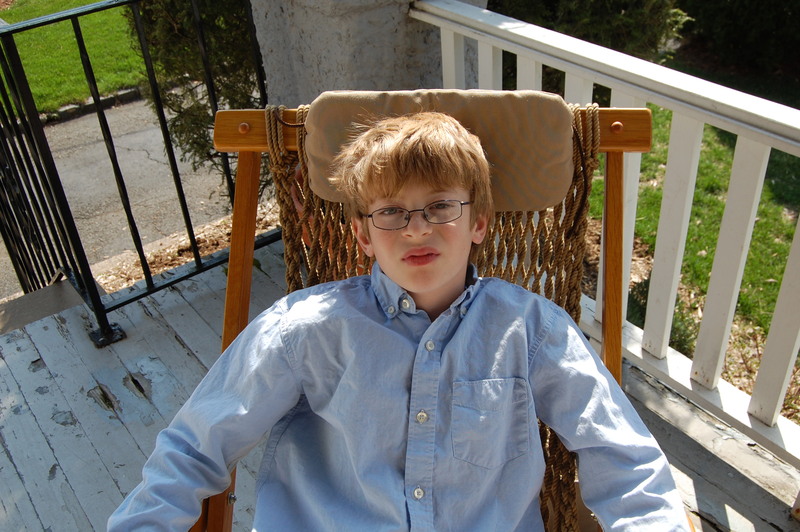 You have a porch! Jealous! Beautiful! 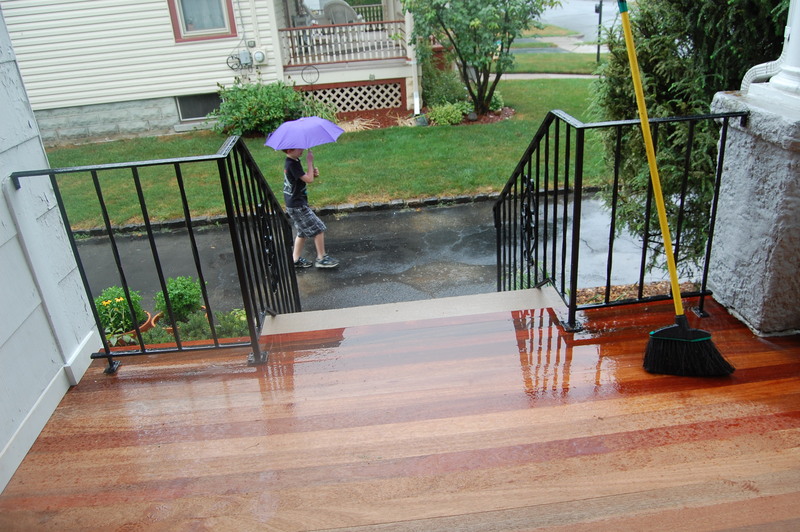 I just went out to look at our front porch – the boards run toward the street. Who knew? 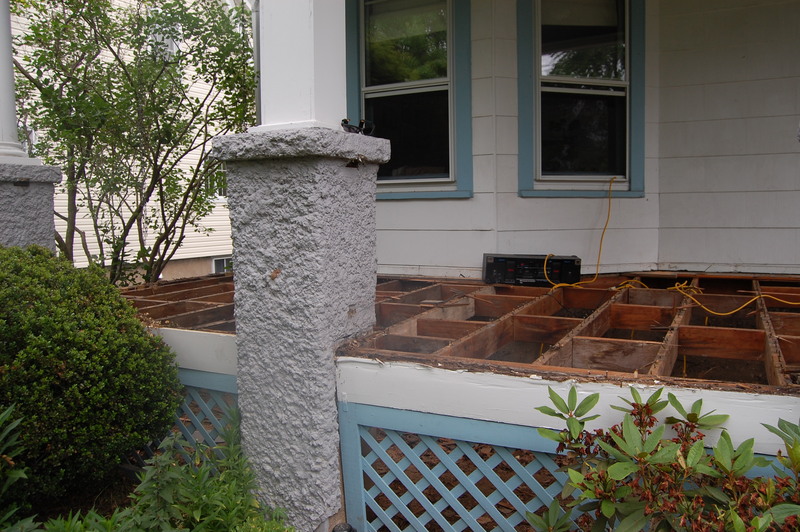 Hours later, as a torrential downpour continued unabated, he and his crew worked late into the night to keep the hole drained – and our porch standing!